I love, love, love lamb! 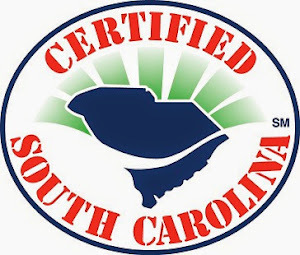 Lamb of all kinds, center-cut loin chops, bone-in or boneless leg of lamb and more! 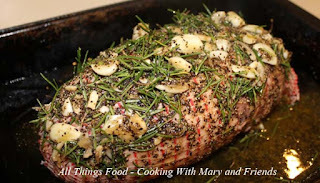 Easy to roast, and very yummy, a boneless leg of lamb makes a very nice presentation for a special dinner or celebration. Paired with some yummy root vegetables, it's dinner in one pan, which is always great! 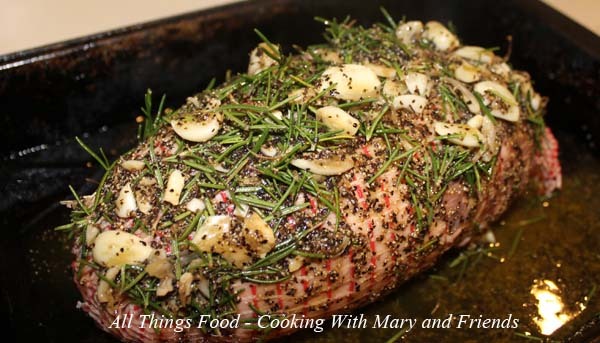 First, make sure your lamb is at room temperature: To cook evenly, the lamb roast must not be cold - let it stand at room temperature, loosely covered, for approximately 1 hour or even more. 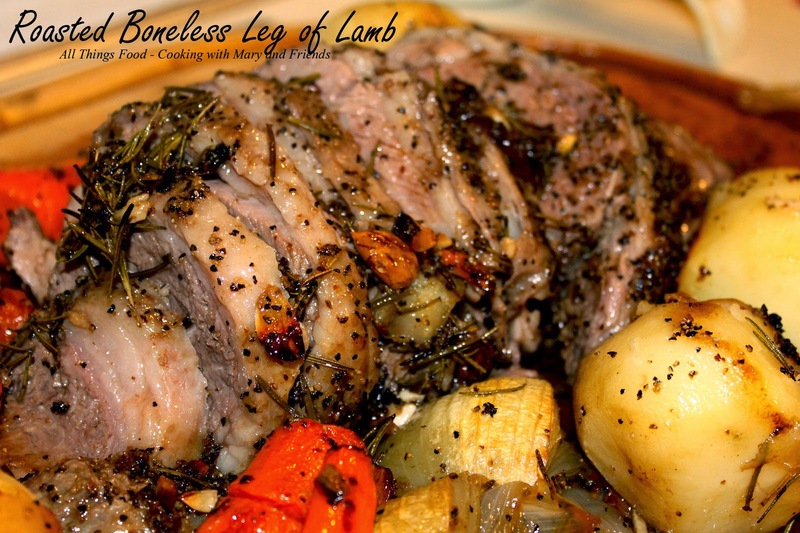 This time can vary depending on how big or small your lamb roast is. I can't give you an exact time on this. 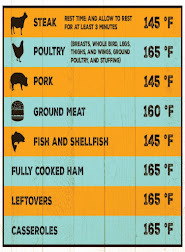 If you don't let the roast come to room temperature, if will take longer to cook your roast. Your roast won't cook evenly, and you'll end up with well-done slices on the end and raw meat in the center. Use your best judgment! In a small bowl, combine garlic, rosemary, and pepper. Add olive oil and lemon juice. Mix until all ingredients are combined. 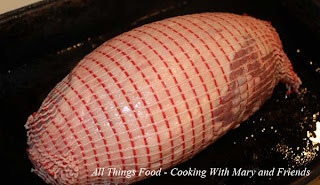 Remember - don't remove the netting that is around the lamb roast. Rub the Herb Seasoning Rub mixture all over the outside of the lamb. Now add your root vegetables, placing them around the roast in the pan. Insert a meat thermometer so tip is in thickest part of lamb (not resting in fat). Set oven to 450 and sear the lamb roast for 15 minutes then turn the oven to 325 for the rest of the cooking time. Do not cover the roast. 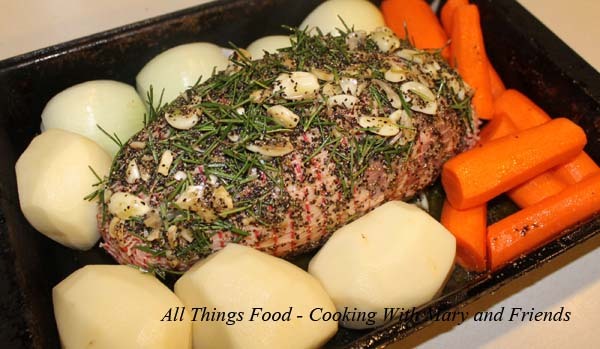 Cook until the lamb roast reaches the desired internal temperature. Remove from oven, cover with aluminum foil, and let sit approximately 15 to 20 minutes. Remove netting prior to carving.